These are some of the standard savings rates for dental procedures in Oakland, California, based on zip code 94601. The scale shown below is for a discount dental plan called “GE Wellness Plan”. The GE Wellness Plan is not dental insurance, but it provides users with a substantial discount when visiting dentists that are in the participating network. There are as many as 100,000 dentists now on this network that are fully qualified to provide dental care for you and your family. The example given below is only for the GE Wellness Plan and only in the 94601 ZIP code area for Oakland, California. If you need to visit a dentist soon, I highly recommend entering your ZIP code in the box below. This way you can get a complete listing of each plan and what it offers, and also find providers that are close to where you live. 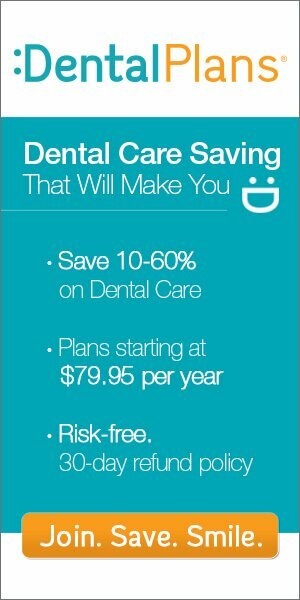 All of the providers listed will accept the discount dental plan card. You will normally be active within one to three business days. You can find more examples of savings on dental procedures just like this one for the Oakland, California area by visiting California Dental Plans or simply entering Your ZIP code into the box above.